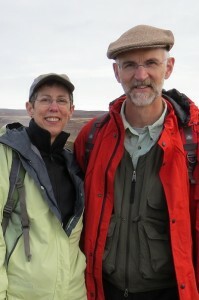 Geologists Cheryl and Ralph Dawes. Hear Cheryl and Ralph talk about the age of rocks along the trail. Outcrop on left is Swakane Biotite Gneiss, the oldest rock type in the valley. 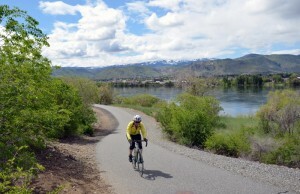 Hear Ralph Dawes describe fault that the Loop Trail crosses. 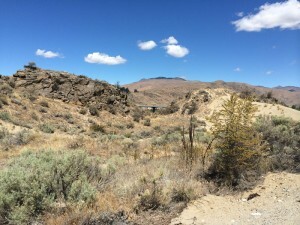 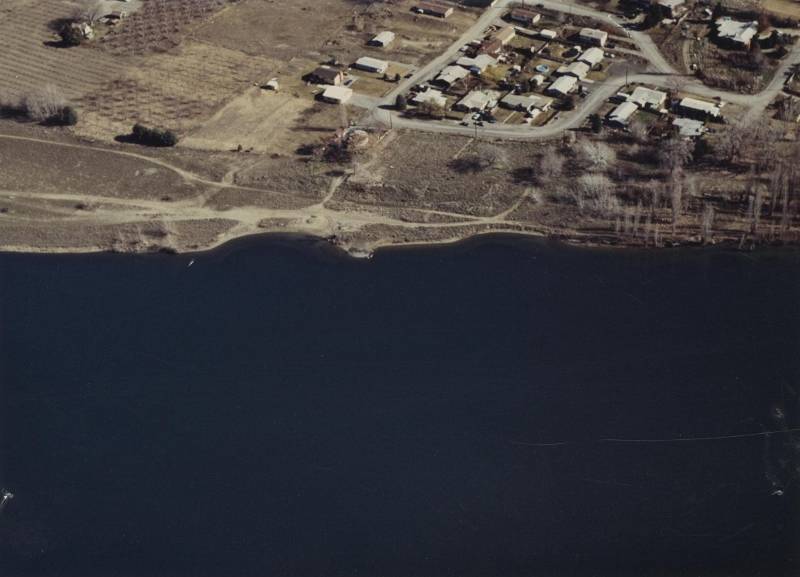 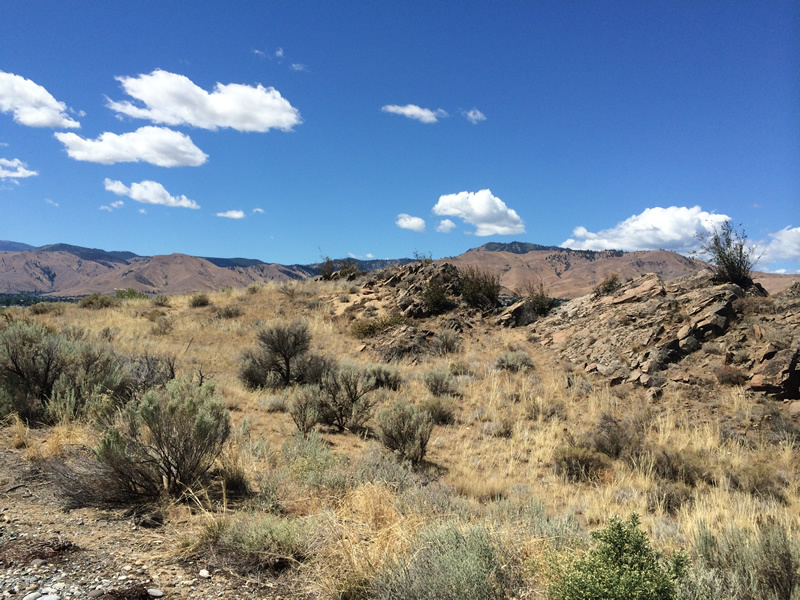 Hear retired architect Jim Blackburn describe East Wenatchee landscape. 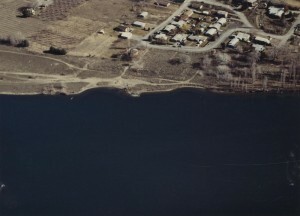 Skip Johnson grew up on an orchard in East Wenatchee. 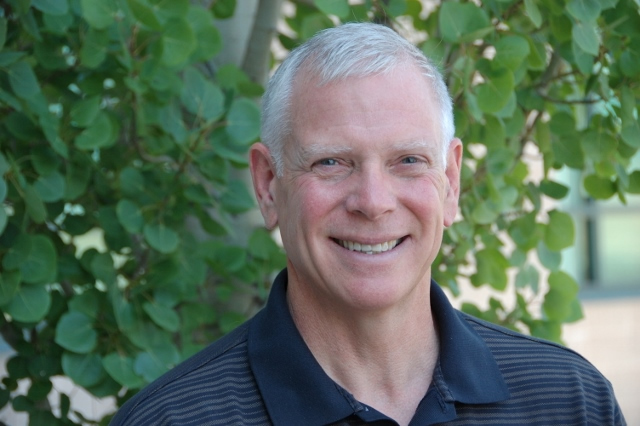 Hear Skip talk about why he got involved in the the Complete the Loop Coalition. 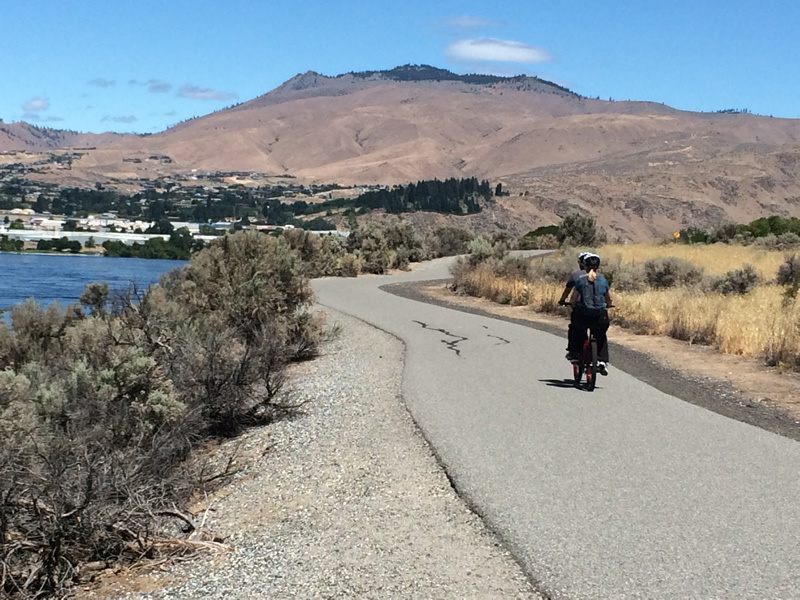 Learn about the Wenatchee Valley Velo Bike Club.